College basketball paid homage to one of the women’s college basketball all-time winningest coaches – Vivian Stringer. After almost a half-decade of going to work at a job she absolutely loved, three games into the 2019 season at the Rutgers University (where she spent the past 24 years), she stepped down to deal with health issues. She joins a handful of coaches -men and women- who crossed the 1,000-win plateau in career victories. She won her first 250 games at Div. II Cheyney State in Pennsylvania and led the HBCU to the NCAA finals in 1982. She went on to Div. I success at Iowa and Rutgers and is the first coach in NCAA history to lead three different women’s programs to the NCAA Final Four. Her fame extends into world competition and the Olympics. Among her numerous honors was her induction into the Basketball Hall of Fame in 2009. It’s fair to say she help set the tone for HBCU women’s basketball programs. Roger Cador played baseball and basketball at Southern, and led the Jaguars in hitting in his junior season of 1972 at .393. He was drafted by the Atlanta Braves in the 10th round of the 1973 MLB Draft and play five seasons in the Braves organization, reaching Class-AAA in his final season of 1977 as an outfielder. He served as head coach of the Southern Jaguars baseball team from 1978 – 2017…the first seven years as an assistant. (He served as a basketball assistant from 1980-84. In 1980, he was named the head coach of the Jaguars. Cador transformed the Southern baseball program into one of the premier HBCU programs in the country, and one of the most successful baseball teams during his tenure. 1995-96 season, The Jaguars led the country in winning percentage several times (1995-96, 34-7, .829); (2000-01, 43-12, .782); (2001-02, 45-10, .818); and (2002-03, 44-7, .813). Cador ranks 20th among Division I coaches with 603 victories, .655 winning percentage. In 2001, Michael Woods was taken in the first round, as the Jaguars received national attention which set the stage for an unheralded freshman, Rickie Weeks who went on to capture All-American honors and was named National Player of the Year. Cador led the Jaguars to 14 SWAC championships, eight NCAA tournament appearances and three NCAA play-in tournament appearances and two black national titles in 2003 and 2005. 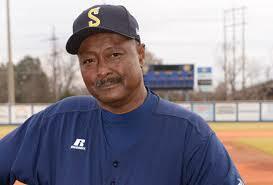 He completed his career at Southern with 14 SWAC Coach of the Year awards. Award winner at a predominantly black school (Rickie Weeks Jr. in 2003) and the first NCAA Division I tournament game win by a black school. Cador produced 35 players who played professional, or became coaches, umpires, or scouts, including 23 players drafted from 2001–2004. To increase exposure, he organized the Urban Invitational featuring Historically Black Colleges and Universities televised on MLB Network. He is also a member of a Major League Baseball task force to improve African-American participation in baseball. Cador claims his greatest accomplishment was graduating approximately 80% of his players. They epitomized “taking a little and making a lot” as Hall of Fame quarterback Doug Williams stated. Each coach and player have their own stories to tell. Some familiar names are iconic, while some of these great legacies have never been memorialized. 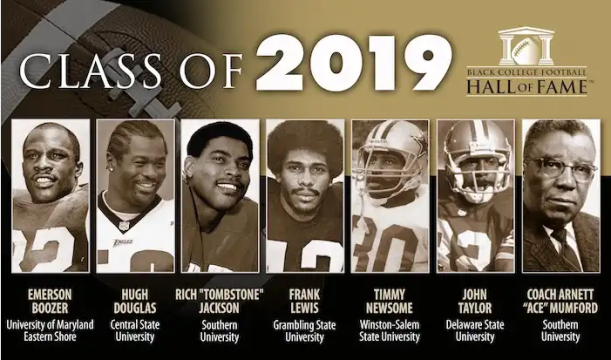 We salute ESPN for shining the spotlight on HBCU football royalty.